At the invitation of the Russian president Vladimir Putin, Prosperous Armenia Party leader Gagik Tsarukyan will depart for Sochi to participate at the Russian Investment Conference set for February 13-15. This year the conference is held under National Programs: From Strategy to Action slogan. The organizers of the conference hope that it will promote the expansion of mutually beneficial business and humanitarian ties, give opportunity discuss issues on making investments in Russia. 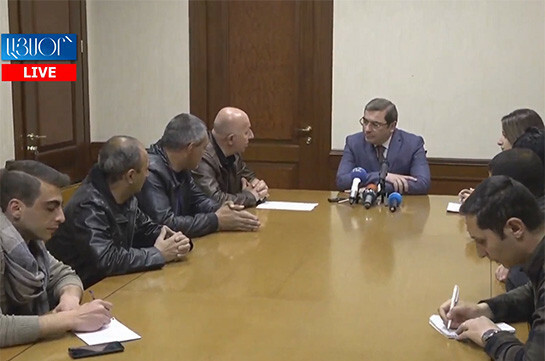 The Armenian government will carry out high-salary policy, Armenian’s Prime Minister Nikol Pashinyan said at the meeting with the students of the Economic and Management Faculty of the YSU. 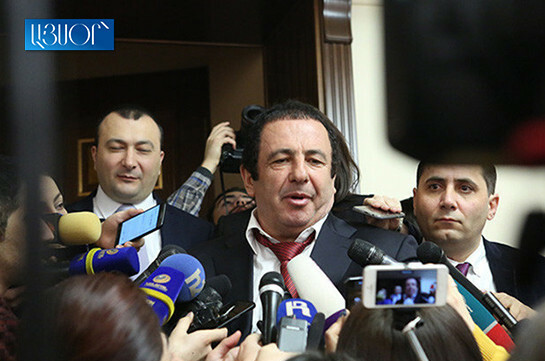 Chairman of the NA’s Calculating Committee Vahagn Hovakimyan stated that 121 lawmakers participated in the voting, of which 95 backed candidate Gegham Gevorgyan, 26 voted against. Addressing the candidate, lawmaker from Bright Armenia faction Ani Samsonyan stressed that the candidate speaks quite impressive and raises wish to see him in the post but forgets that before appearing here he had a path which people study to see whether he corresponds to the post or not. Addressing the parliament Prosperous Armenia faction lawmaker Naira Zohrabyan stated that laws must be discussed thoroughly and only then be voted for.